In a December post a couple years ago I said that one of my favourite parts of the Christmas season is re-discovering my sense of childlike wonder in simple things. This year it’s been difficult for me to find that sense of wonder as events around me have made me aware of the harsher side of life. 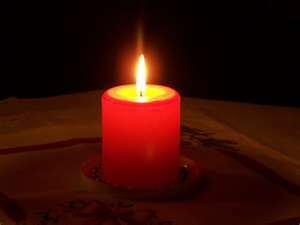 A friend of mine suddenly and unexpectedly lost her teenage son last week and two work colleagues have lost parents only a few days before Christmas. Other friends and family members are experiencing illnesses, injuries and other difficulties. Sorrow and sadness are not part of our concept of the Christmas season. Grief and heartbreak are incompatible with the jollity expected of us throughout December. But we can’t banish the problems and heartaches that beset us because it’s Christmas. So I’ve been thinking about of how difficult this season is for those who are suffering emotional pain. In the midst of the festivities I’m aware that not everyone feels like celebrating. Someone said to me this week that we never know what problems those we meet each day are facing. So tonight I’m very aware of the importance of caring and compassion in our dealings with others, especially at this time of year. I may not be brimming with hearty Christmas cheer tonight but my Christmas greeting to readers, friends and family is warm and sincere. I hope you have a peaceful, safe Christmas with those you love and you will find a bright horizon in your New Year. 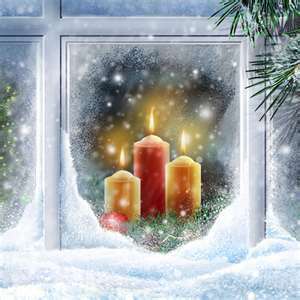 This entry was posted in December 2011 and tagged Christmas, Christmas greetings, Christmas wishes. Bookmark the permalink. Tragedy can strike at any time of year and nobody is immune from the possibility. There are so many people on their own at Christmas as well and my heart goes out to them. Who knows when it might be our turn? 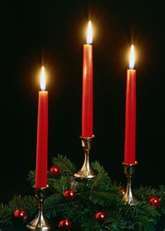 Nonetheless, I wish you and yours a happy and peaceful Christmas and a successful 2012. Thank you so much for this sincere and thoughtful post. I am with you in everything, and I too try to be much more aware of contributing to a bit of light in someone elses life during this… fortunately for very many people… festive season. Not that I can’t and don’t feel a bit gloomy myself, being on my own on this Christmas Eve, but since it is my own choice I shouldn’t complain. My heart goes out to our mutual friend who has suffered a terrible loss. May she and her family be able to find some solace and consolation. I wish you and your family a very Happy Christmas and all the best in the New Year. As we say here… Glaedelig Jul.